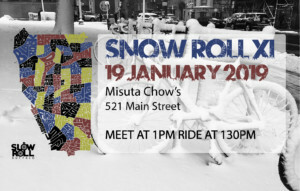 We’re expecting a winter wonderland for this Saturday’s *Snow* Roll at Misuta Chow’s (521 Main Street, downtown), with snowfall expected to arrive around our new 1:30pm start time! 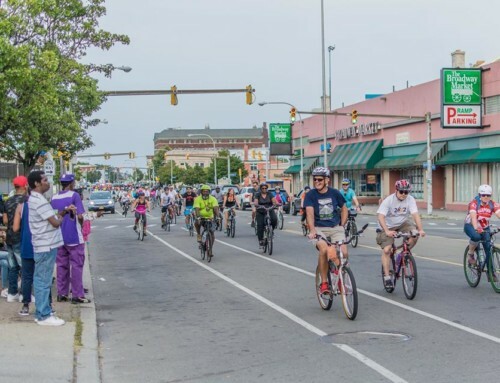 Since we’ll be downtown, this ride’s donation drive is for the nearby Buffalo City Mission, which has requested personal hygiene items for our homeless and hurting neighbors. 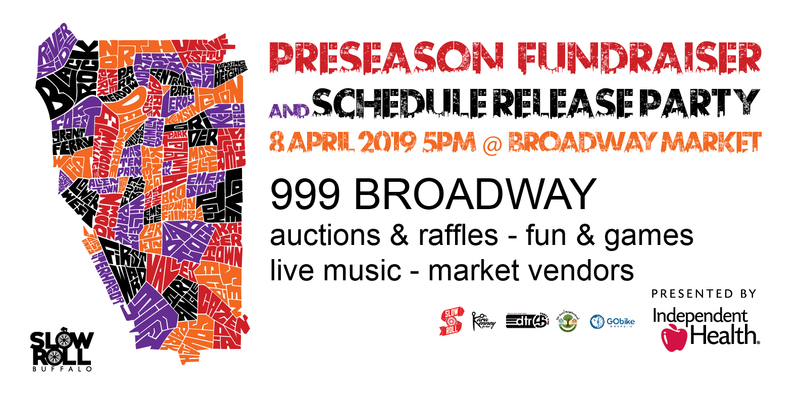 Our ten-mile route will stick to major streets, returning to the warm and friendly confines of Chow’s for an afterparty with two floors of fun including an arcade, funky menu and full bar. 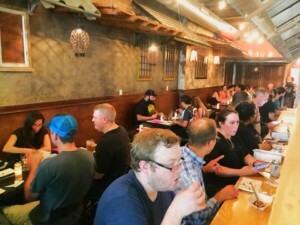 Although it’s been open less than a year, Chow’s has quickly become a distinct downtown destination that cares about the greater community – for example, it’s currently offering free meals to those affected by the government shutdown, seven days a week from 11am-1pm and 3pm-6pm. 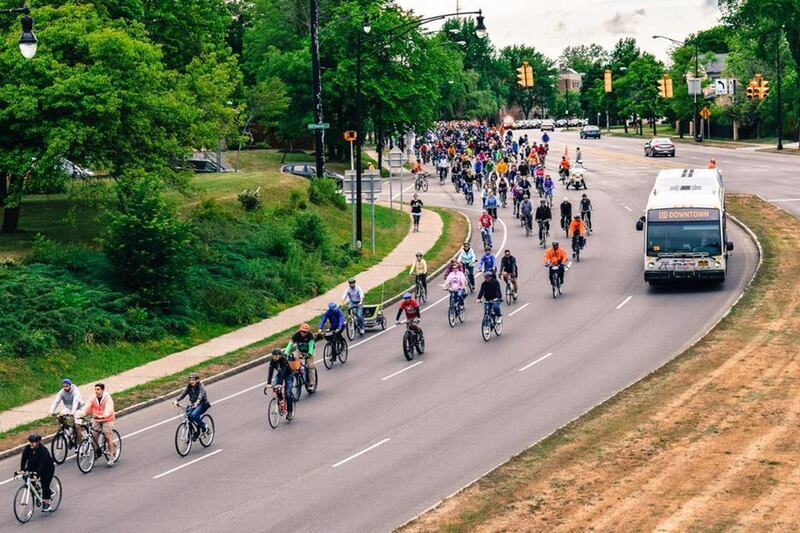 Learn more about Misuta Chow’s below from co-owner Christi Allen, who runs the place alongside her partner and touring artist/musician Johny Chow – and join us Saturday for the ride and afterparty! 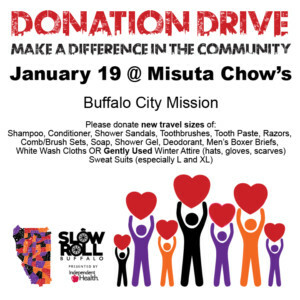 What inspired the opening of Misuta Chow’s? Misuta Chow’s was really the product of everything that makes up Johny and I’s personalities, interests and talents, and then the fact that we let our imaginations just run wild for a good ten years to create a vision of what it all could look like. Since Johny started touring with Stone Sour he’s been to Japan many times, and has always loved everything about the culture — the vibe, the food, the humility and respect that’s such a part of everything they do there. We’re both lovers of the ’80s — the music, the fashion, that bright neon, funky aesthetic of the era. And for years and years, I’ve been in the film industry producing movies and TV shows, taking a vision and making it come alive. Both of us also spent years in the food and bar industry, opening and running some of the most famous bars in L.A., and then even here in Buffalo: Johny and I opened Allen Burger Venture together for the Shatzel Group. 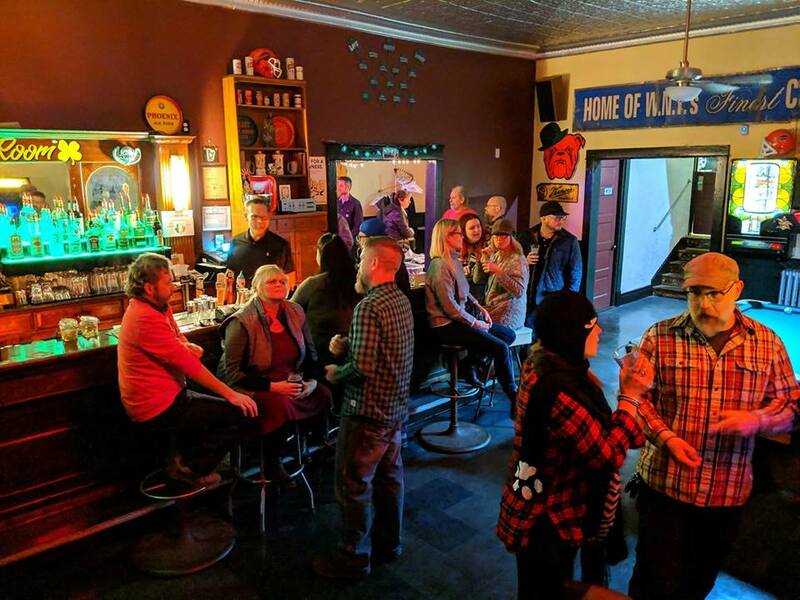 And as director of operations there, I went on to open Colter Bay, Thin Man Brewery, The Terrace… So really, everything that Misuta Chow’s is, is everything that’s just in our souls as people — music, fun, great food and drinks, awesome vibes, deep love, appreciate and respect for different cultures. We found a way with help from a very talented team of architects, designers and artists, to mesh it all together into something cohesive and breathtaking — just plain fun. 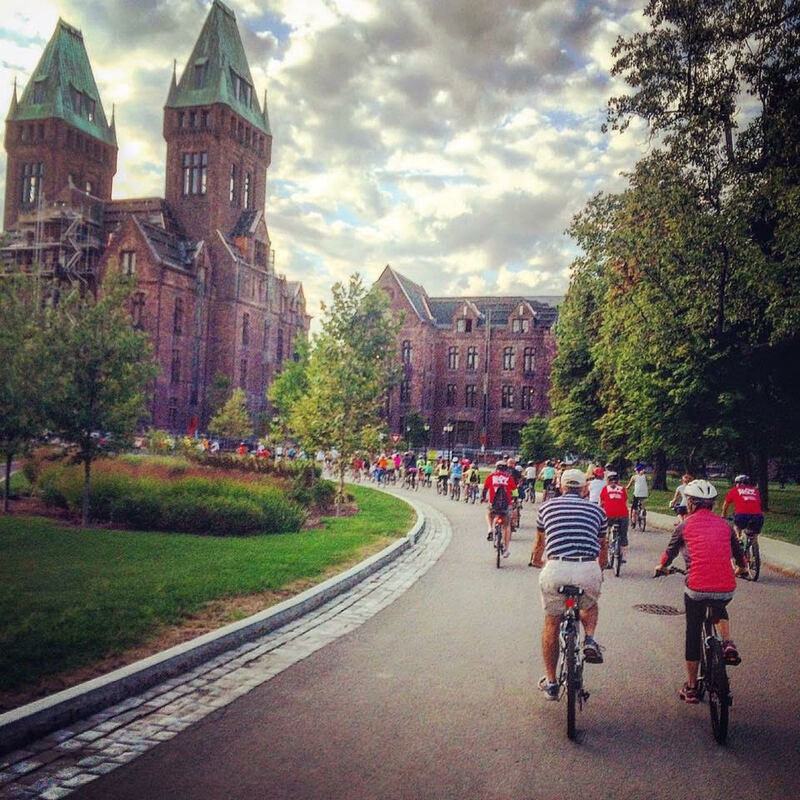 And there’s nothing else like it in Buffalo, which we love, because we love Buffalo and are just so excited to be a part of all the amazing things happening in this city. 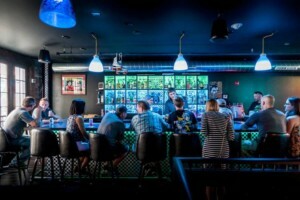 Have Buffalonians totally taken to the vibe, or has anything changed since opening? Everyone loves it! How could they not, right? We’re packed on the weekends, and we have such amazing collaborations going for awesome events during the week. We have burlesque nights and the best karaoke in the city, I think. Garrett Thomas, the magician. You come in on Mondays or Saturdays, and he just magics your face off. We’ve done silent discos, events with Pride Center of WNY. We’re planning a monthly comedy night; we have two different pinball leagues that play with us. Our holiday parties are amazing, we’re really stoked for graduation season. 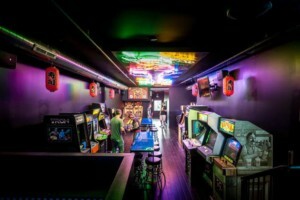 Whether it’s the crazy good menu that Dunbar Berdine helped us create, the nostalgia of all the arcade games from the ’80s; I mean, who doesn’t want to play Pac-Man and Skee-Ball, right? Everyone has just embraced us with so much love and support. We couldn’t be more grateful. The pink staircase — no one can forget that. People just can’t get enough. We’ve got celebrities coming to Buffalo for shows saying they have to get their picture in the staircase. It’s been just really amazing. 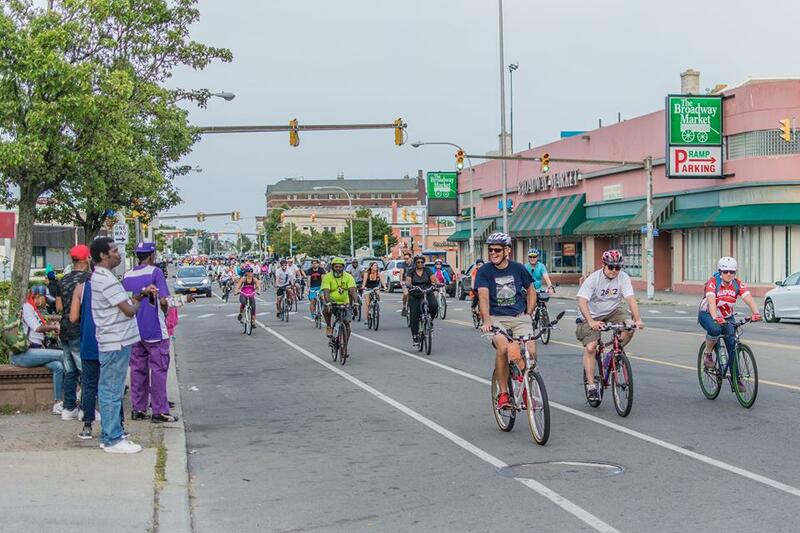 The City of Buffalo has been fantastic, as well. And we can’t wait for this Spring and Summer. The block parties and live music events we have brewing. It’s all only just beginning for sure. 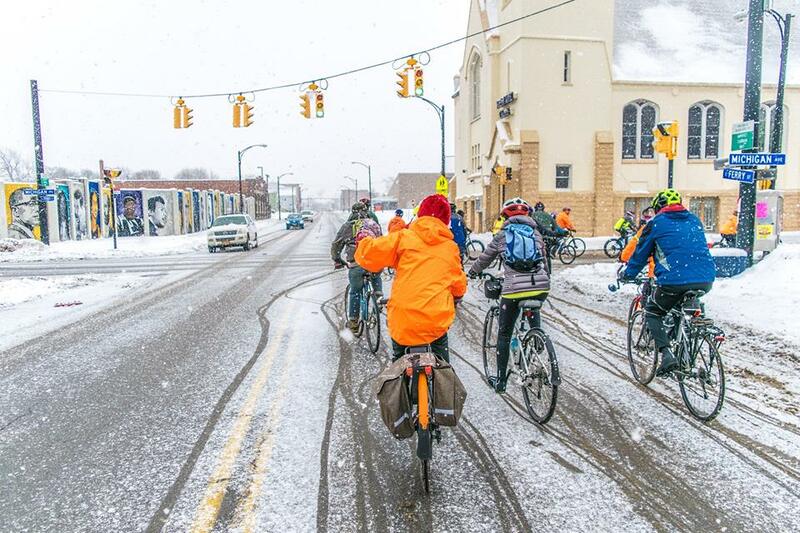 What should people expect at Snow Roll this Saturday? 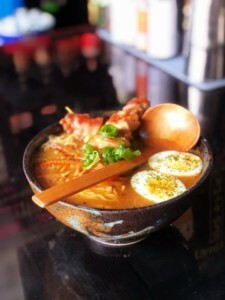 You can expect plenty of coffee and hot chocolate brewed and ready to go, plenty of Miso Soup in the crock, a great menu of hot items available like our Shio Ramen, Vegetable Miso Ramen, and Udon Bowl. And we’ll have hot cocktails as well! 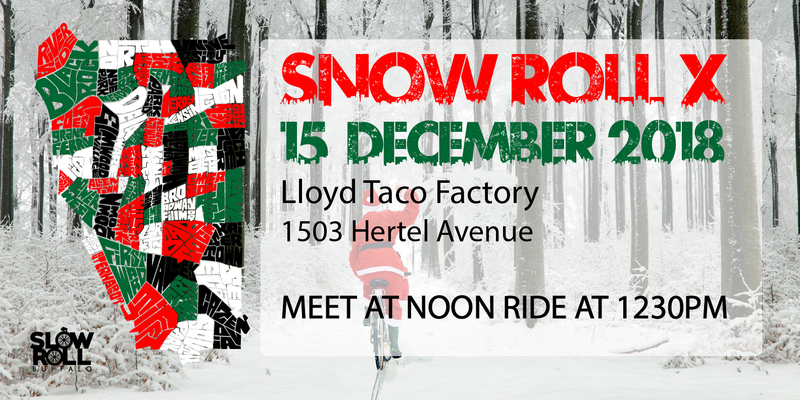 It’s going to be a lot of fun, and a great place to warm up after the ride! 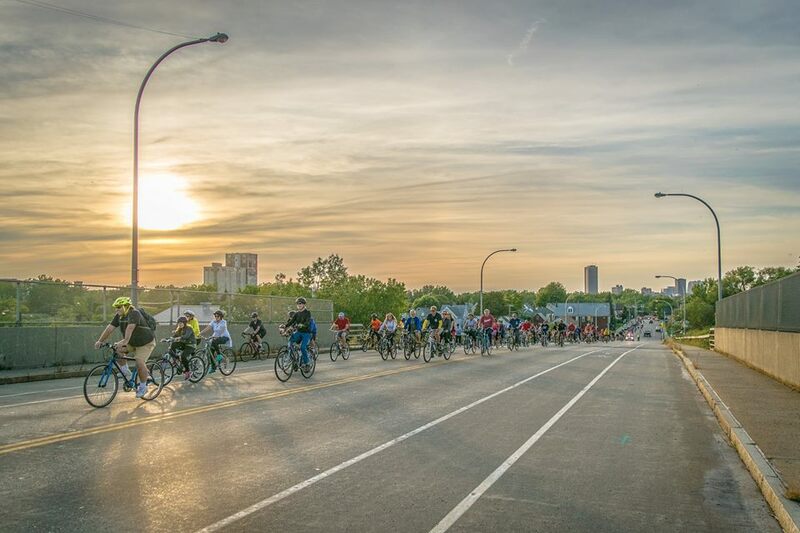 Slow Roll 2019 Schedule Released! 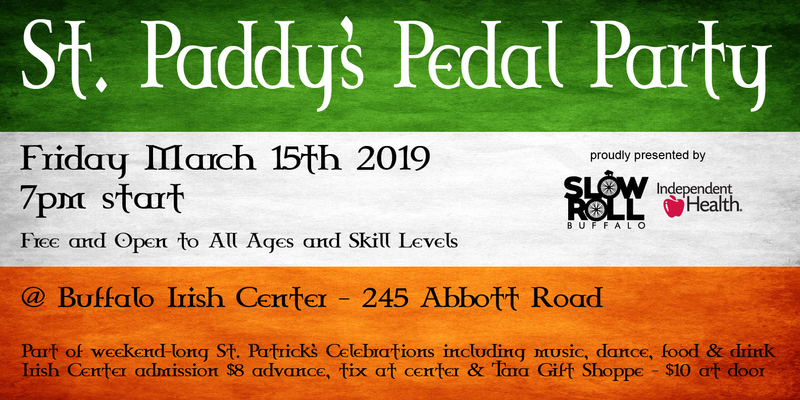 St. Paddy’s Pedal Party This Friday! *Snow* Roll and Open House at Shamrock Room This Sunday! *Snow* Roll and Clothing Drive at Lloyd Today!